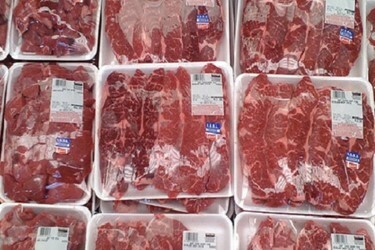 Buckhead Beef, a SYSCO company, is the premier “Center of the Plate” purveyor of portion control cut steaks. The company stocks one of the largest inventories of dry aged USDA Prime and Certified Angus Beef in the U.S. In addition to a fully autonomous sales and distribution operation, Buckhead Beef is responsible for the meat procurement and supply of premium cut steaks for several SYSCO companies. As a leading supplier of protein, Buckhead Beef seeks to implement consistent safety practices across its operation. Buckhead held weekly meetings with employees to discuss safety, but the meetings were not effective in building a culture of safety. “The meetings basically consisted of a team leader reading from a canned ten minute message,” says Brye Wiskman, Risk Manager. The company was not confident that every employee mastered the safety topic. Wiskman needed the ability to quickly train 400+ people at two locations. Additionally, Buckhead had no consistent training in place for onboarding and refresher training to ensure employees understood their role in supporting a culture of safety. “We are a state-of-the-art facility and our employees deserve the best training,” Wiskman says. To achieve this, Buckhead needed a way to engage with their diverse workforce while bridging generation gaps, language barriers, and learning styles.